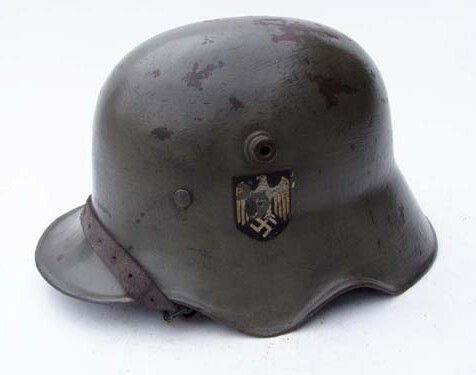 This M18 cut-out has been restored to a pre–war configuration. 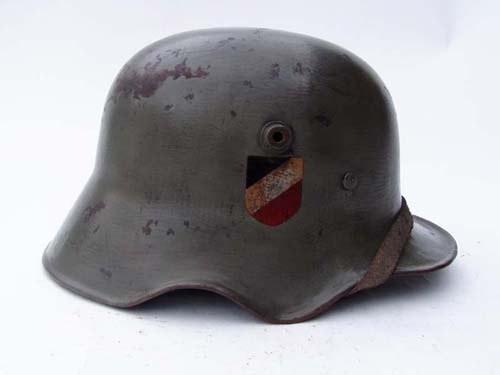 The helmet shows several layers of thick hand applied paint, showing the helmets continued use through WWI, the Weimar era, and early Third Reich period. Evidence of a Prussian Reichsheer shield can be seen through the chips in the Heer decal. The helmet has been fit with a M24 liner and M27 carbine clip chinstrap.